Defending champion Nick Kyrgios falls in three sets to Jeremy Chardy after John Millman finds Grigor Dimitrov too tough at the same stage of the tournament for the second straight year. Sixth seed Grigor Dimitrov bounced Australia’s John Millman out of the Brisbane International. Bulgaria’s Dimitrov was the first man into the Brisbane quarterfinals after sealing the 6-3 6-4 second round win over world No.38 Millman. Later on Wednesday, Nick Kyrgios won the first set by faded to a second-round loss against Jeremy Chardy. The Frenchman completed a 6-7(5) 6-2 6-3 win to set up a quarterfinal meeting with Japanese qualifier Yasutaka Uchiyama, who stunned third seed Kyle Edmund in straight sets. 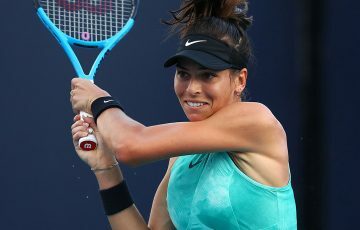 Ajla Tomljanovic is currently on court, taking on former world No.4 Johanna Konta for a spot in the women’s quarterfinals. 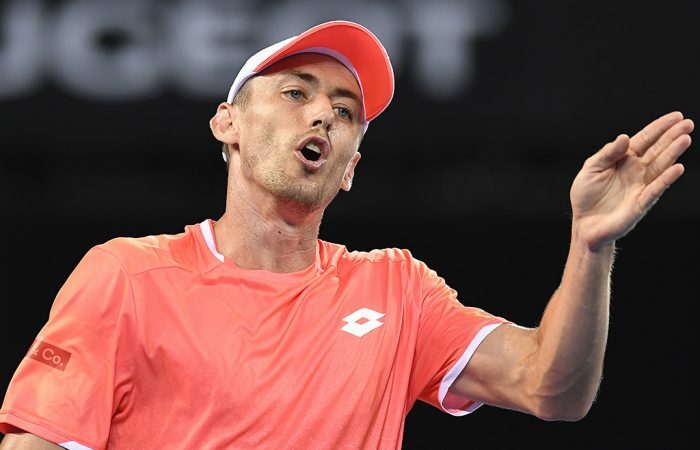 Millman showed the fight that pulled off a shock 2018 US Open fourth round win over Roger Federer to come back from 4-1 down in the second set. Grigor Dimitrov seals it with a serve down the T, and John Millman is out of the Brisbane International! Great match! But there was no stopping world No.19 Dimitrov, who broke serve in the ninth game of the second set for a 5-4 lead and served out the match in the very next game. “(He was) stingy with his errors, very aggressive,” Millman told brisbaneinternational.com.au. The 2017 Brisbane champion booked a quarterfinal berth againstsecond seed Kei Nishikori, who saw off American Denis Kudla. Kyrgios, meanwhile, is set to fall outside the world’s top 50 for the first time in four years after his loss to Chardy. 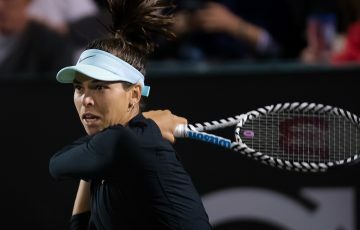 He will miss out on an Australian Open seeding; the loss is expected to see his ranking fall from 35 to 52 after he failed to defend the majority of the 250 points he accrued for winning the Brisbane title last year. Kyrgios’ tournament preparation was interrupted by a spider bite that hospitalised him in hometown Canberra over Christmas, and he admitted he could be “rusty” after spending little time on court. Chardy admitted he felt for his good friend following the result. “It was a tough match, he’s an amazing player. I am happy with the win but he is my friend – it’s always to difficult to play against someone you like,” Chardy said.